We are focus on providing best item to our customer. Please contact with us with no hesitation when your need our help. We will try our best to help you at once! A case eliminate all you worry! 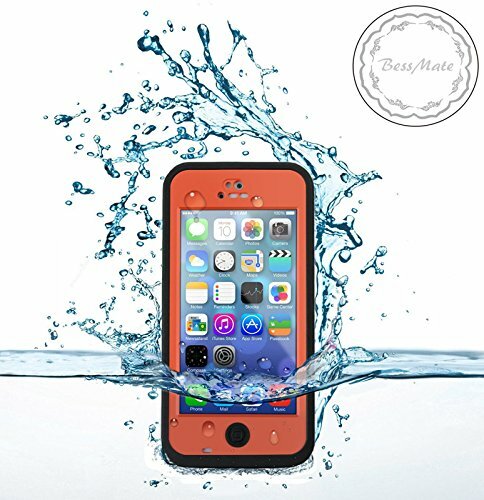 With this waterproof/dirtproof/shockproof and snowproof case, you can pretect your love phone when you are on beach, drive, skating , don't worry drop into the floor or dirt, or snow. Do not influence the usage of your phone! Fully compatible with iPhone 5c, all the function keys operate freely. The fashion design not only guarantees the security of the your cellphone, but also makes your cellphone to be the fashion style. NOTE: To ensure the security of your cellphone, you can put a paper in the case to test waterproof function for the first time. If there exists any problem for our product, you can contact us with no hesitation.